another Decolonize & Anti-Oppression community workshop! 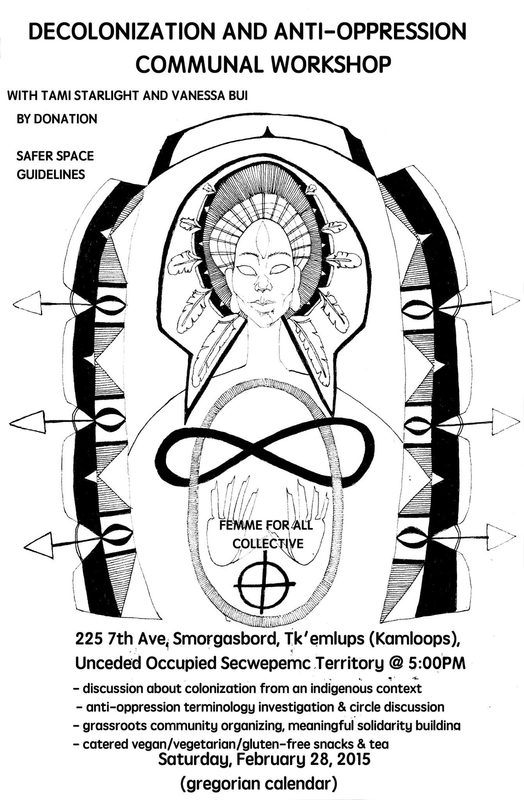 it is set for Saturday, July 26th in Vancouver / unceded Coast Salish territory! 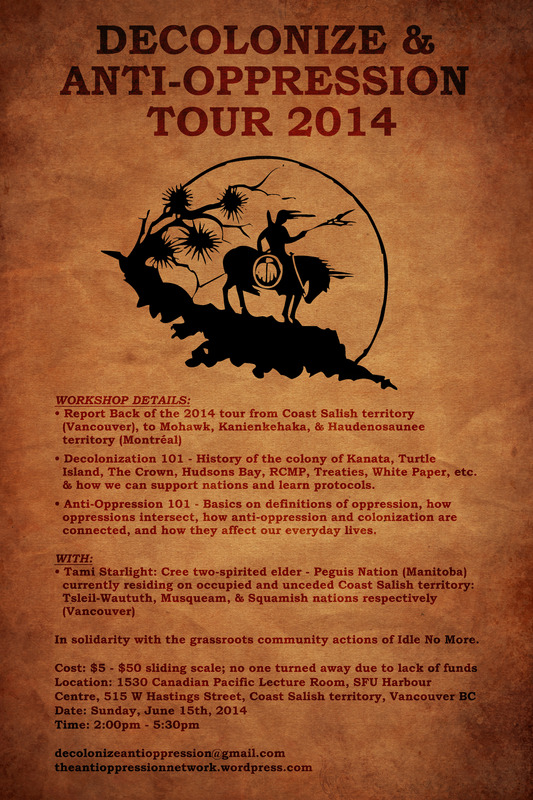 Taking place on unceded Coast Salish territory – Tsleil-Waututh, Musqueam, and Squamish nations. – The building entrance, workshop space, and washrooms are wheelchair accessible. Homebound: Last workshop of the 2014 tour! the last Decolonize & Anti-Oppression community workshop of the tour! 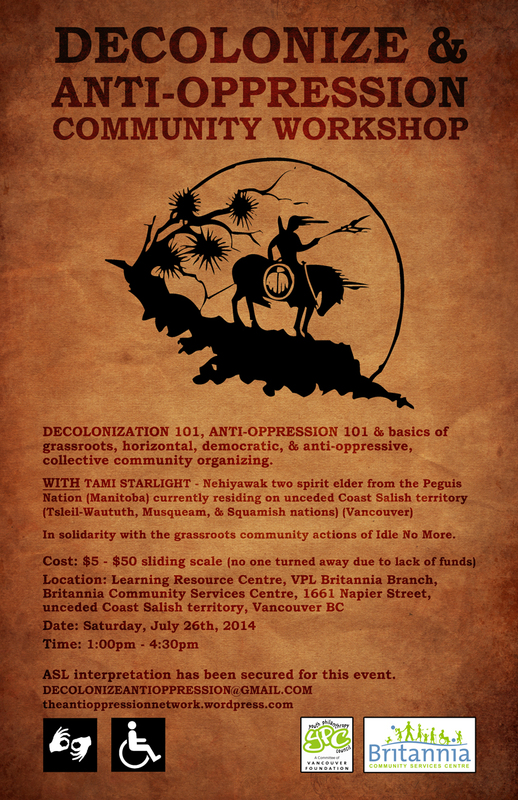 set for Sunday, June 15th in Vancouver / unceded Coast Salish territory! Tami Starlight – Nehiyawak (also known as Cree) from the Peguis Nation is traveling from Vancouver / unceded Coast Salish territory to Montreal / Mohawk, Kanienkehaka, & Haudenosaunee territory. – the building, workshop space, and washrooms are wheelchair accessible.